Michigan’s Ag Director says broadband Internet service could help bring more visitors to state parks. But the head of the Department of Natural Resources and Environment says expanding wireless service to more state parks would be too expensive. According to Capital News Service, Michigan was the first state to add wireless Internet service, for a fee, at eight of its 97 state parks in 2004. That pilot program included East Tawas. Internet access is still available at those parks, for a cost of $8 a day. But there wasn’t much interest, since nearby coffee shops and other businesses often offer free Internet access and many people can surf the Internet for free with their smartphones. The latest proposal would make the Internet free at some state parks. But it’s not clear if that will happen. Speaking of Tawas, the Department of Natural Resources and the Environment is looking for lighthouse keepers. 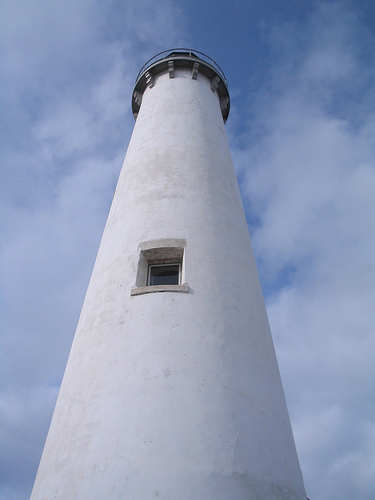 The keepers can stay up to two weeks at the Tawas Point Lighthouse, located in Tawas State Park. The keepers are responsible for greeting guests, leading tours, working in the museum’s gift shop and doing some light maintenance of the buildings and grounds. The lighthouse was recently renovated, and staying in the keeper’s quarters costs $250 per person, per week. The quarters include two bedrooms, a kitchen and a single bathroom. The program is available to single folks and couples from March 4 through Dec. 23. The Tawas Point Lighthouse has been in operation since 1876. Funding would be cut for a Great Lakes restoration plan under a federal budget recently submitted by President Barack Obama. The budget calls for $350 million for the Great Lakes Restoration Initiative in 2012. That’s $125 million less than the $475 million in the 2010 budget, and $50 million more than the amount requested for this year. The Healing Our Waters-Great Lakes Coalition says more funding is needed for the initiative, which aims to clean up toxic pollution, control invasive species like the Asian carp and restore habitat. The coalition says the restoration initiative offers some of the best returns on the dollar in the federal budget. The money goes for efforts to protect drinking water, safeguard public health, create jobs and improve the quality of life, the coalition says. A 2007 Brookings Institution study said every dollar spent on the Great Lakes restoration generates $2 in economic activity. The Healing Our Waters-Great Lake Coalition, which represents more than 100 environmental conservation and other organizations, is pushing Congress to fund the initiative at $475 million in 2012.